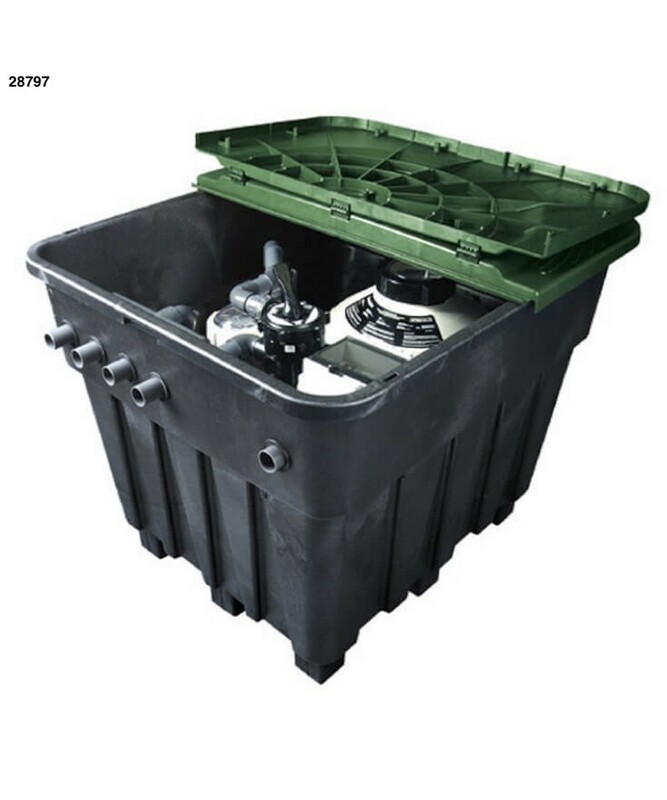 Underground compact KEOPS, manufactured with a plastic injection system. 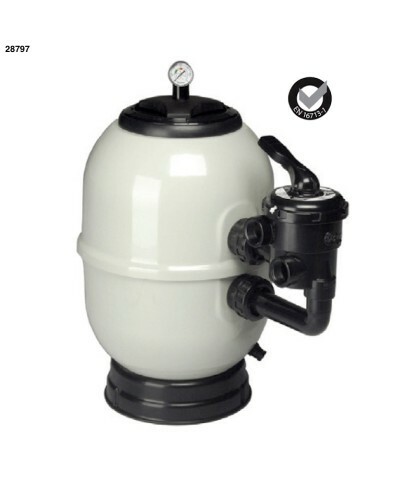 Complete and pre-assembled, it contains an Aster filter, a Sena pump, a valve battery, an electric panel and a chlorine and bromine dispenser (not included). On request, the KEOPS basement can contain a dispenser for 4 kg off-line chlorine and bromine tablets (Code 24430). 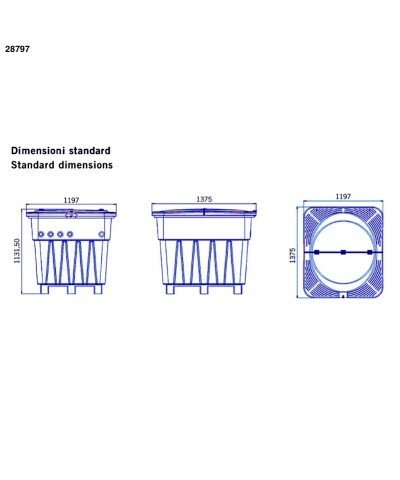 Product gender: Compact underground housing for pool filtration with internal assembly. filter: Aster Ø 500 mm . THIS PRODUCT IS PRODUCED ON DEMAND! €1,759.30 Vat incl. €1,759.30 Vat excl. The delivery time for this product is 2 - 3 working days. By buying this product you can collect up to 175 loyalty points. Your cart will total 175 points that can be converted into a voucher of 35. 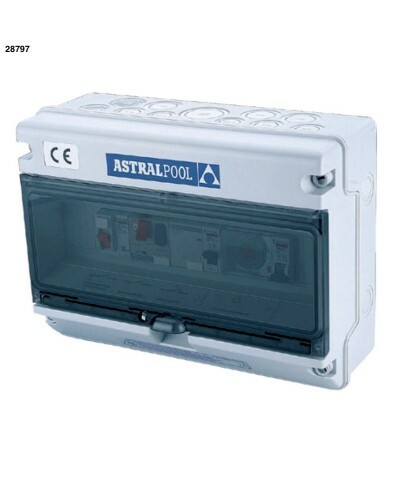 Astralpool offers you an easy and inexpensive solution to install your pool's technical room. The underground compact KEOPS basement is made of injected plastic. It contains within it a purification plant consisting of an Aster sand filter with lateral selector valve, a recirculation Sena pump and a valve battery. The basement is made of polyethylene by an injection system that provides great resistance to bad weather and low temperatures, making it ideal for outdoor location. To protect the pump from possible flooding, it has been placed in an elevated position inside the basement. The lower part of the basement has a shape that is easy to transport on pallets and has the necessary devices to fix it to a reinforced concrete slab. The lid is composed of two pieces joined together by a hinge that allows to obtain an opening angle of 180°. Unlike other models on the market, this well eliminates wind resistance and is longer lasting. Price €321.15 €321.15 Vat incl. €321.15 Vat excl. AstralPool, the world reference brand in the swimming pool sector, presents the new filtration pump solution: the Victoria Plus Silent. "65561-victoria"
Improved quality thanks to the use of thermoplastic materials. Ease of use and maintenance. Price €436.54 €436.54 Vat incl. €436.54 Vat excl. AstralPool, the world reference brand in the swimming pool sector, presents the new filtration pump solution: the Victoria Plus Silent. "65569-victoria"
Price €328.77 €328.77 Vat incl. €328.77 Vat excl. AstralPool, the world reference brand in the swimming pool sector, presents the new filtration pump solution: the Victoria Plus Silent. "65560-victoria"
Price €244.94 €244.94 Vat incl. €244.94 Vat excl. 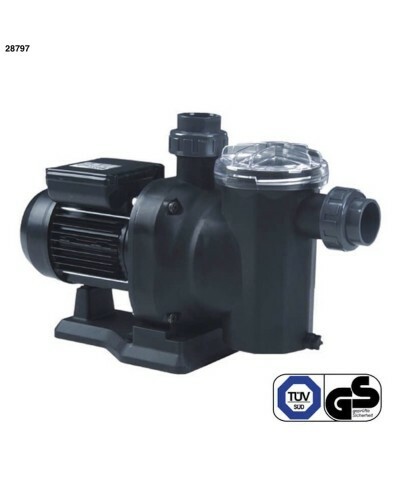 In the SENA pump family of AstralPool, both the maximum amount of water and the low sound reflects the intention to fully meet the needs of the private swimming pool and in addition with a seductive design, which is now an unmistakable feature. Motors from 1/3 HP to 1.25 HP in single phase and from 3/4 HP to 1.25 HP in three-phase motors. GS marking, Motor protection IP-55, insulation class F.
All parts in contact with water in stainless steel AISI-316. Price €228.07 €228.07 Vat incl. €228.07 Vat excl. Price €258.55 €258.55 Vat incl. €258.55 Vat excl. Price €369.05 €369.05 Vat incl. €369.05 Vat excl. AstralPool, the world reference brand in the swimming pool sector, presents the new filtration pump solution: the Victoria Plus Silent. "65565-victoria"
Price €340.20 €340.20 Vat incl. €340.20 Vat excl. AstralPool, the world reference brand in the swimming pool sector, presents the new filtration pump solution: the Victoria Plus Silent. "65562-victoria"
Price €220.45 €220.45 Vat incl. €220.45 Vat excl. Price €407.15 €407.15 Vat incl. €407.15 Vat excl. AstralPool, the world reference brand in the swimming pool sector, presents the new filtration pump solution: the Victoria Plus Silent. "65566-victoria"
Price €238.41 €238.41 Vat incl. €238.41 Vat excl. Price €434.37 €434.37 Vat incl. €434.37 Vat excl. AstralPool, the world reference brand in the swimming pool sector, presents the new filtration pump solution: the Victoria Plus Silent. "65570-victoria"
Price €1,717.36 €1,717.36 Vat incl. €1,717.36 Vat excl. Price €312.44 €312.44 Vat incl. €312.44 Vat excl. AstralPool, the world reference brand in the swimming pool sector, presents the new filtration pump solution: the Victoria Plus Silent. "65558-victoria"
Price €322.78 €322.78 Vat incl. €322.78 Vat excl. AstralPool, the world reference brand in the swimming pool sector, presents the new filtration pump solution: the Victoria Plus Silent. "65557-victoria"
Price €381.57 €381.57 Vat incl. €381.57 Vat excl. AstralPool, the world reference brand in the swimming pool sector, presents the new filtration pump solution: the Victoria Plus Silent. "65564-victoria"
Price €384.83 €384.83 Vat incl. €384.83 Vat excl. AstralPool, the world reference brand in the swimming pool sector, presents the new filtration pump solution: the Victoria Plus Silent. "65567-victoria"
Price €331.49 €331.49 Vat incl. €331.49 Vat excl. AstralPool, the world reference brand in the swimming pool sector, presents the new filtration pump solution: the Victoria Plus Silent. "65563-victoria"